Pret-A-Manger is a popular UK chain of food shops. 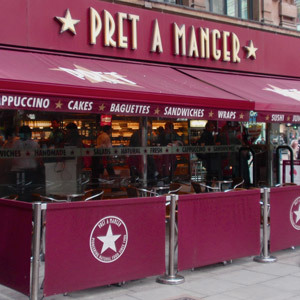 Known simply as “Pret” in the UK, you can find one in most cities and towns in the UK. They have also recently started to expand in Europe and the USA.